Old St. Andrews 'Par 4' is a blend of carefully selected grain and malt Scotch whiskies that have been matured in oak casks previously used for sweet wines, sherry or port. 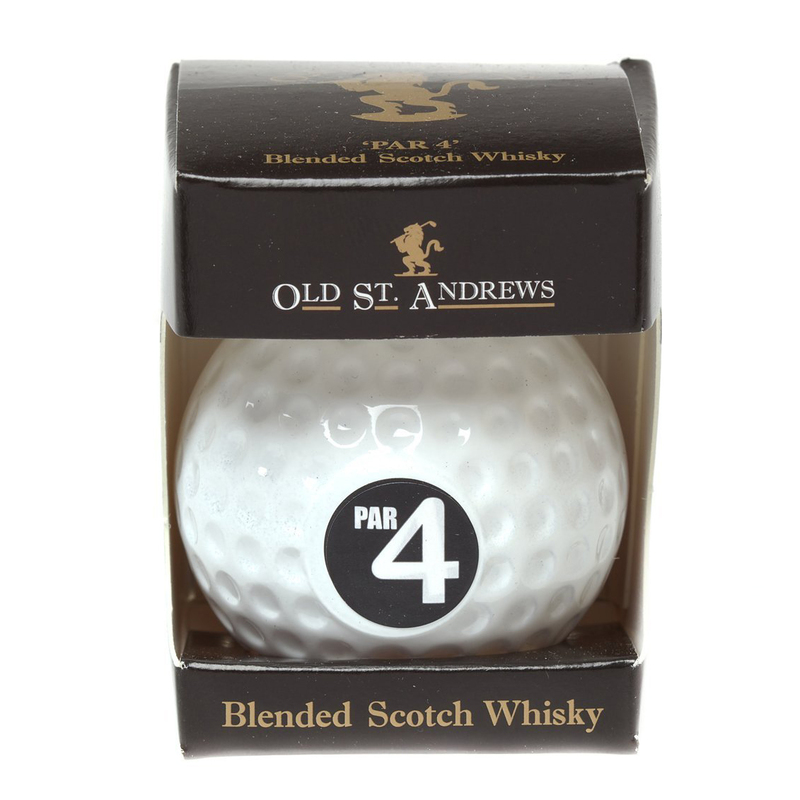 Old St Andrews Par 4 Golf Ball contains 50ml of Blended Scotch Whisky. It gives delicious full, round taste: an exceptional blend of rich fruit flavours balanced with an undertone of sweet spiciness leaving a fresh mouthwatering finish. A taste as distinctive as the bottle in which it comes. Whether sipped neat or with water, ice or mixers, Old St. Andress 'Par 4' will appeal to shisky loves everywhere. It is the perfect accompaniment to an fevenig with friends.